I remember back in the day, when we got our very first computer. We got Print Shop Deluxe and started designing and printing every single birthday card, thank you card, and party invitation. We would design certificates for no reason, other than the fact that we had this computer program. At the time, we thought the cards were the most amazing things ever created. But, in hindsight, the cards were pretty awful and probably used up more time and ink than was really worth it. 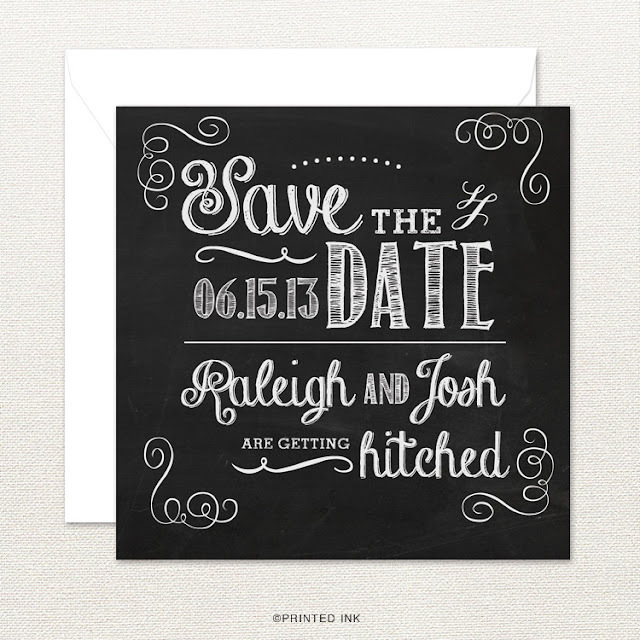 Technology has come a long way, but I still would not suggest designing and printing your own wedding invitations. 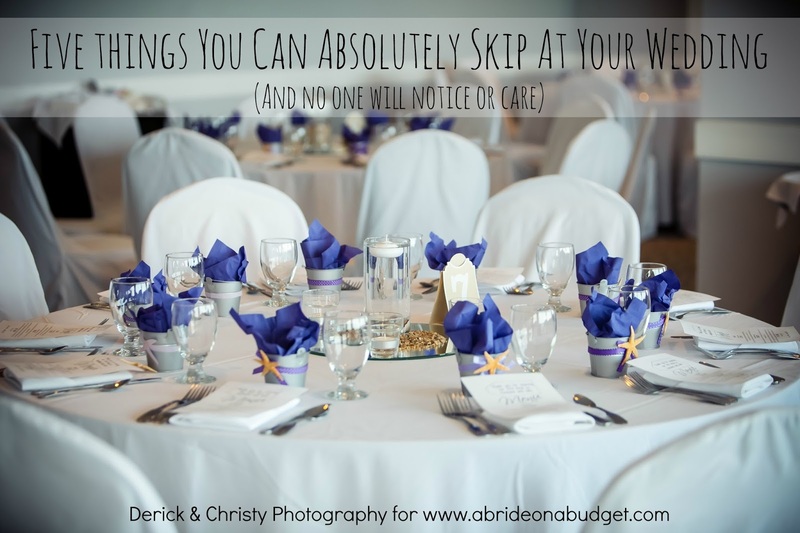 Sure, it could save you a bit of money, but in the long run, this is your wedding, not some random birthday party. If you design a crummy birthday party invite, you have next year to make up for it. If your wedding invitation is awful, well, that's it. You will forever have had a bad invitation. 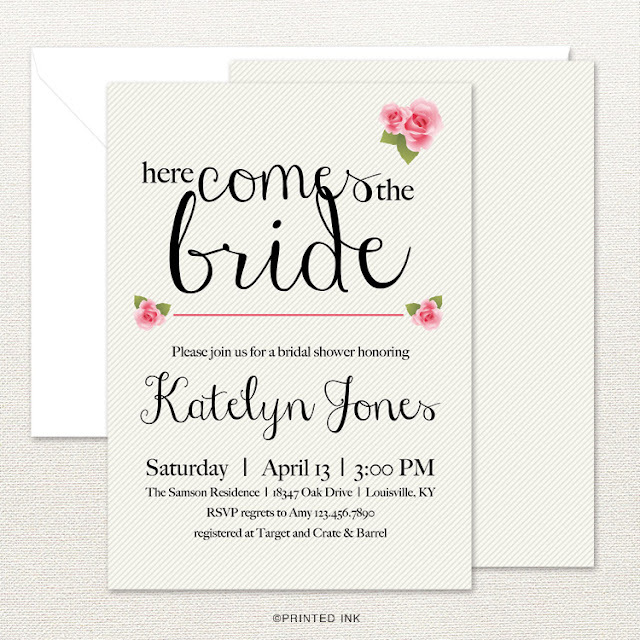 Plus, can you design something like this bridal shower invitation that Rachel from Printed Ink Designs? I was chatting with Rachel on Twitter and I asked her if she would be able to design a coozie for me. I had seen the idea on Pinterest, but had no capabilities of actually designing it. I thought about doing it myself but it was just a messy idea. But it wasn't. See, originally, she had the ampersand on the left side of the text. To me, it just read funny. So I sent her an email, asking if she could move to the right side. That same day, she sent me back a revised copy. That's the great thing about working directly with a designer. The design is created for you and can be adapted and created to exactly what you would like. You can't do that with a store bought invitation. 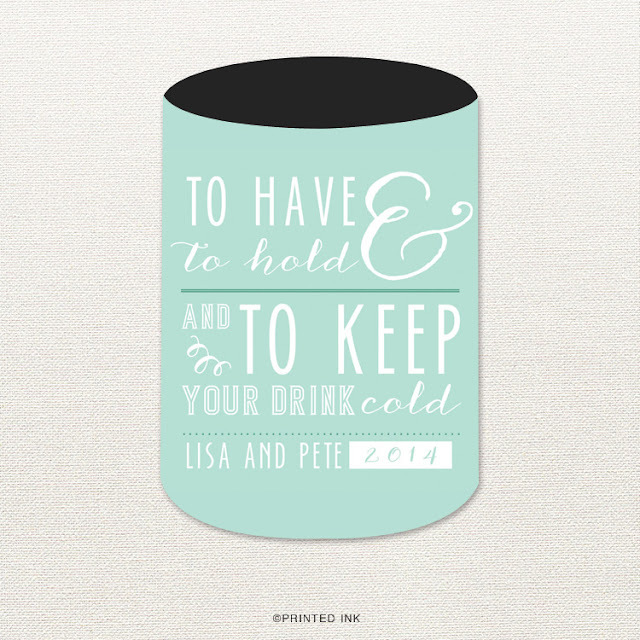 It is a great way to marry your theme to your invitations. And, remember, the invitations (or save the dates, if you send them) are the way that your guests will be introduced to your wedding. 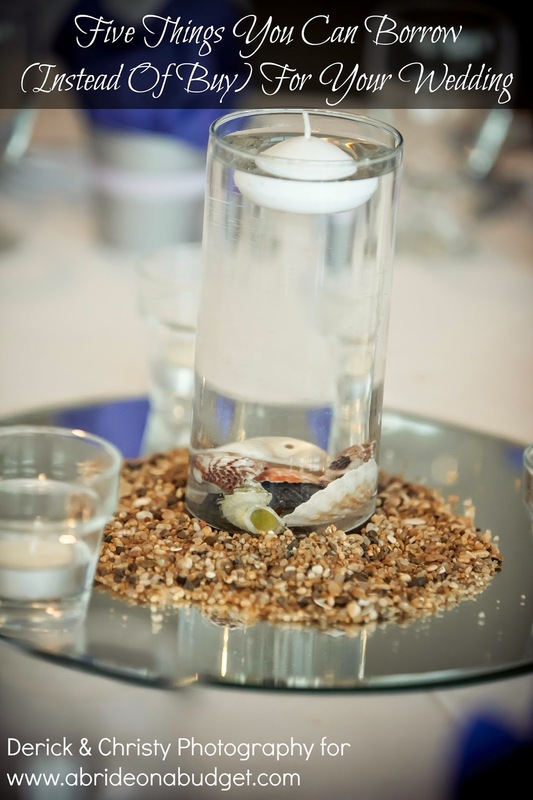 They really set the tone so you do want to make sure you present your wedding in a fantastic way. 1. Find a designer you mesh with. When you're picking a designer to work with, make sure you find one with a body of work that you can view online. You want something that is completely unique to you and your fiance, but you do need to see what the designer has created previously. 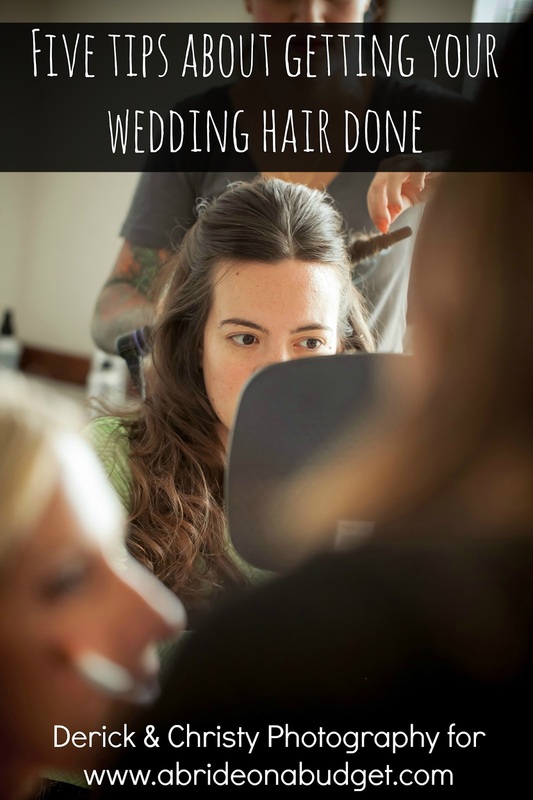 Just like with every other aspect of your wedding, there will be designers whose style will mesh with yours and designers whose styles won't. If you have something specific in mind, ask for a sample. Before we started working with Nicole from Glossie.ca on our wedding invitations, she sent us a sample of an invitation that was similar to what I was thinking. Knowing that she could come up with something similar made me confident that she could design what I wanted. And the fact that she would reply to emails that I sent at 1:30am (because that was the only time of day I would get a break) was a huge help. 2. Who gets possession of the design? You also want to discuss printing. Will you receive a high-resolution image that you can use anywhere or do you have to order all the invitations directly from the designer? Personally, I think it's better for you to get a hi-res image because that way you are able to print additional invitations if you need. Imagine how awful it would be to have ordered 50 invitations, sent them all ... and then realized you forgot to invite Aunt Edna. If you have the image in your possession, you are able to print one more and send it out ... before your aunt even notices. 3. Get what you pay for. Remember, with a designer, you are paying him or her to create something unique for you. If you get the proof and it isn't what you were envisioning or expecting, ask for a change. I didn't like where the ampersand was on the coozie, so I asked for it to be moved. It was a simple fix for the designer and something I would have agonized over if I didn't ask for the change. You are paying the designer to create what you want. Don't be timid and just accept the design as is if there is something you completely hate. It's better to inconvenience the designer by asking her to fix a typo than sending out half your invitations with your father-in-law-to-be's name spelled incorrectly because you were too timid to speak up. BRIDAL BABBLE: Did you buy boxed invitations or did you work with a designer? I bought boxed invitations and ultimately killed my printer. The cost of ink and to replace the printer had I known, I would have just ordered the invitations from a designer! I agree, unless you have a lot of experience it can be risky and ultimately more expensive to try to design your own invitations.